It’s already part of Star Wars: The Force Awakens lore that Captain Phasma is named after Don Coscarelli’s 1979 cult horror classic Phantasm. Obviously, JJ Abrams is a fan. But how did the restoration—and Abrams’ involvement—come about? A new interview with Coscarelli reveals some juicy specifics. It started a loooong long time ago in a graveyard far, far away. J.J. Abrams called up, oh, about 12 years ago, back when he still doing TV stuff. I didn’t know who he was. He said “I’m a TV producer, and I love Phantasm.” And we started talking about it. In fact, at the time, I think we were finishing up Bubba Ho-Tep. And I got a little trouble with the editing process, and I was having trouble making that movie come together. And I brought it over and showed it to him and we hung out and he was a real cool guy. And, over the years, from time to time we stayed in touch. I introduced him to Angus Scrimm, and he ended up putting Angus into a recurring role on his Alias TV series. Angus really appreciated that and really enjoyed it. Flash-forward to about a year and a half ago, I got another call from J.J. and he wanted to screen Phantasm for his workers over at his company Bad Robot. And I told him that the only choice he really had was my scratched-up old 35mm print, or the standard-def DVD. Those weren’t really great choices, so he said “Oh, we gotta fix that!” So he put [me] in touch with their head of post-production, a guy named Ben Rosenblatt, and he came up with this plan as to how to restore the movie efficiently. So that’s how it started. 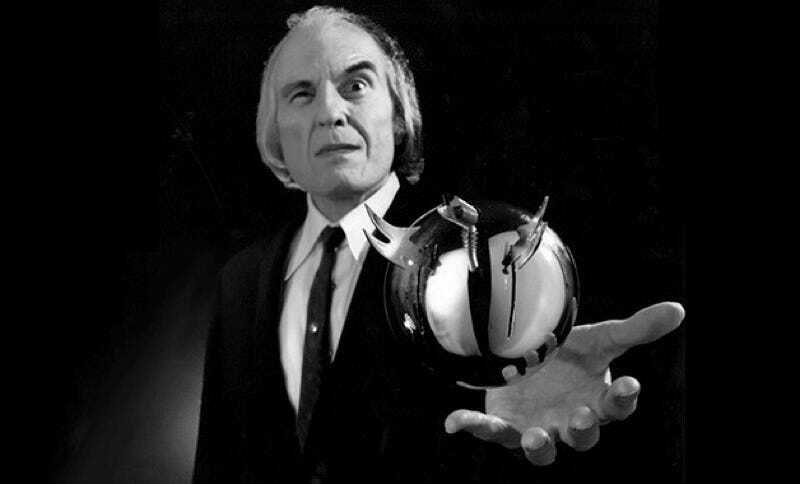 Angus Scrimm, of course, played the iconic Tall Man in Phantasm. In the interview, Coscarelli says that in addition to cleaning up the image and erasing some visual errors that had long bugged him, he was able to restore the sound and “enhance” one special effect (though he doesn’t reveal which). Back in December, Coscarelli told Entertainment Weekly that he’s been “talking to a number of people” about showing the sparkling new Phantasm on big screens, in addition to the inevitable DVD/Blu-ray release.